Detective Conan: Zero the Enforcer, the 22nd of the Detective Conan (Meitantei Conan) film series, will be released in Chinese cinemas on Nov 9. The film starts by a large-scale explosion of a newly built building in Tokyo Bay. Kogoro Mouri becomes the main suspect because his fingerprints are found at the crime scene, and Conan Edogawa has to find out the truth and save Mouri. Japanese detective manga series Detective Conan has been running since 1994, which centers on Conan Edogawa, the alias of detective Shinichi Kudo, whose body shrunk after being poisoned at the beginning of the story. 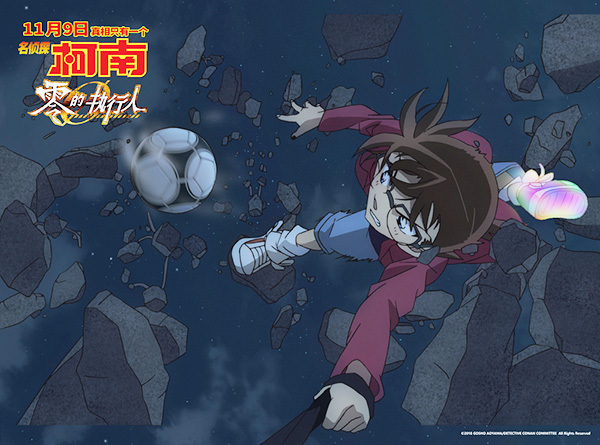 Together with detective Kogoro Mouri and his daughter Ran, Conan helps the police solve difficult mysteries. Originally created by Japanese manga artist Gosho Aoyama, this one is directed by Yuzuru Tachikawa. 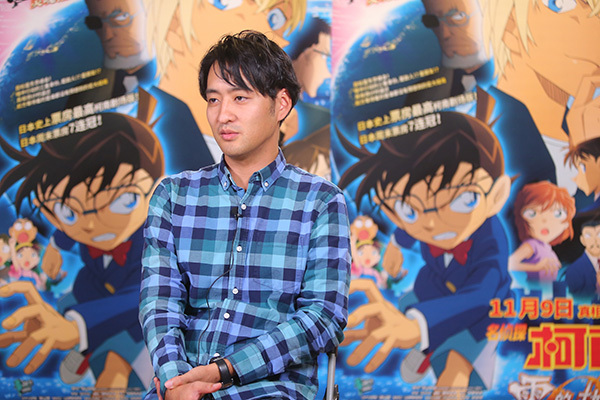 Tachikawa began following the manga since his third year in elementary school, and this is the 37-year-old's first time to direct the series. He said he spoke with Aoyama to discuss the expressions of the characters, and he has put a lot of action scenes in the film. "My aim is to let the audience feel that they are part of the film, so in this one, there are several action scenes where they will feel immersed," Tachikawa said. "The most challenging part is to balance time of inference and action scenes, as it's my first time to direct a two-hour animation,"he said. Detective Conan: Zero the Enforcer was released on April 13 in Japan. With a current box office of $ 77.4 million, is has become the ninth top-grossing Japanese animation film of all-time.